When it comes to investing in the stock market, Warren Buffett trusts a monkey to make a better pick than Donald Trump. 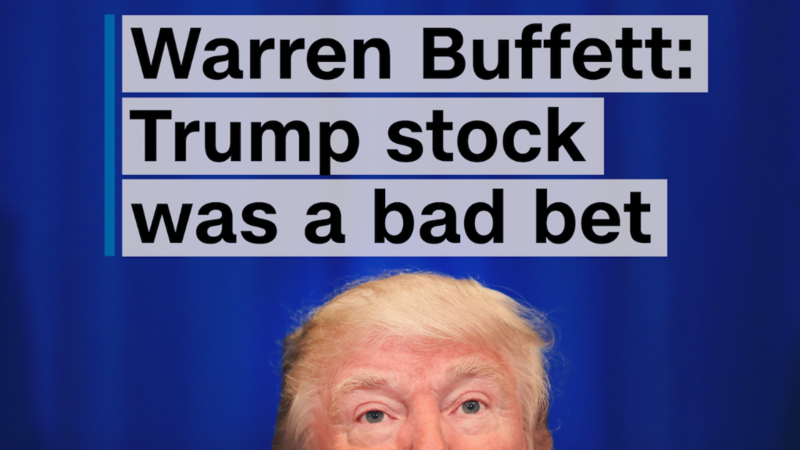 Buffett recently slammed Trump's business acumen, noting that when the billionaire listed his company on the stock market, it lost nearly all its value within a few years. "People who believed in him, who listened to his siren song, came away losing well over 90 cents on the dollar. They got back less than a dime," Buffett said at a rally for Hillary Clinton Monday. "In 1995, when he offered this company, if a monkey had thrown a dart at the stock page, the monkey on average would have made 150%." 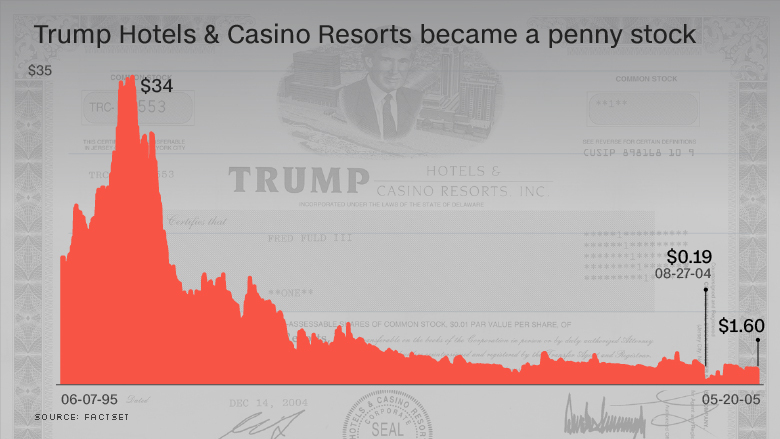 Trump Hotels & Casino Resorts raised $140 million in its initial public offering in 1995. It was listed on the New York Stock Exchange under Trump's initials, DJT. It owned and operated Trump Plaza Hotel and Casino and several other Trump casinos in Atlantic City, as well as a riverboat casino in Indiana. The company was a perennial money-loser. It was in the red for four of the five years before it went public. After the IPO, it lost $637 million through 2004, when it declared bankruptcy. It was reorganized into Trump Entertainment Resorts in 2005, listing on the Nasdaq as TRMP and declaring bankruptcy again in 2009. The company lost nearly $2 billion from mid-2005 through mid-2010, when it reorganized yet again. In its final annual 10-K filing, it cited increased competition in and around Atlantic City, as well as the economic downturn as challenges. The bankruptcy court closed the case in 2012, and the company de-registered its stock the following year. As an investment, Trump Hotels & Casino Resorts was a big loser. After rising for the first year, the share price fell below its $14 offering price and became a penny stock in 2004. It ended at $1.60 in May 2005, when the company underwent its first reorganization. Trump Entertainment Resorts suffered a similar fate on the Nasdaq. It opened at $14 in May 2005, rose initially and then fell below a buck in October 2008. It was essentially worthless by the time the company reorganized again in July 2010. No major U.S. company has filed for Chapter 11 more than Trump's casino empire in the last 30 years.